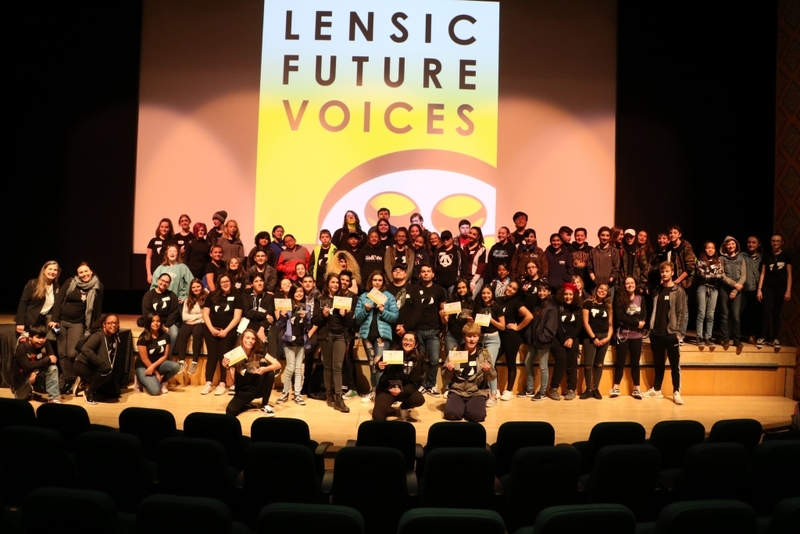 PAPA Film and Photography students win multiple accolades at the Lensic Future Voices of New Mexico festival. Film: Reina Quezada, Justin Rothganger, Alyssa Girard and Eden Hettler. Photography: Noreyha Milligan, Angelique Salazar, Destiny Ruiz, Kat Kapuscinski, Madison Bihn-Adams, and Isabella Rodriguez. Congratulations to PAPA Film and Photography Student winners of the 12th Annual Future Voices of New Mexico Film and Photography competition. 100 students and chaperones took the early train to Santa Fe to attend the event at the historic Lensic Theater. Thanks to our chaperones that made the trip possible. Special thanks to Connie Schaekel of the Lensic, Marcella Ernest of FVNM, and Reid Callanan from Santa Fe Photographic Workshop for creating and maintaining one of the best film and photography opportunities for all New Mexico youth! Photo Credit Olivia Sanchez.